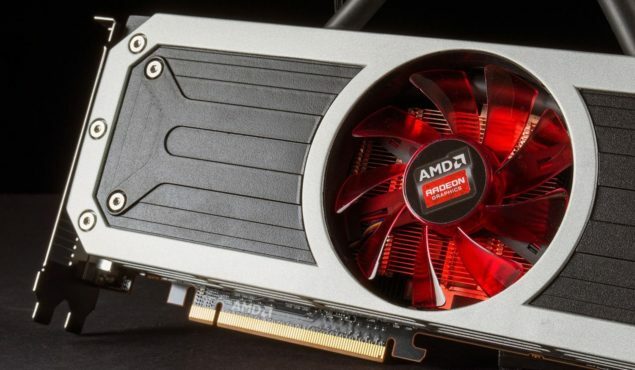 AMD is putting final touches to their upcoming Radeon 300 series cards and while there’s still some time for the cards to hit market, the codenames for the upcoming cards have been compiled up by Videocardz (via 3DCenter). The Radeon 300 series will be the successor to the Radeon 200 series which was unveiled back in 2013 during the GPU14 event held in Hawaii. While we are still a few months away from launch, this is still prime time for leaks to hit the net and just like the Radeon 200 series before it, the leaks started to hit months ago. Most of the codenames we know of the Radeon 300 series cards were derived from Catalyst drivers that launched a year back and there are several indications to why these codenames would be true as they have been verified in several shipping manifestos during their initial development. There are some familiar names reported and some new names so we will get right to the details. The Bermuda GPU is well known to become the flagship offering of the Radeon 300 series. The GPU itself along with the actual Bermuda Island have long been a mystery. But as the dust settles, it seems like Bermuda GPU is not the name of an actual GPU but rather a codename for a dual chip graphics card. Just like Vesuvius, the chip will be featured in the Radeon R9 295X2’s successor, the Radeon R9 395X2 which is expected to launch in late 2015. The pricing of this flagship offering would likely stick close to the $1499 US range and will include again, the amazing AIO water cooler which showed its benefits on AMD’s best dual-chip offering. The Fiji GPU is what’s going to go inside AMD’s successor to the Radeon R9 290X and Radeon R9 290. Initially, only two chips are to be expected, Fiji XT and Fiji Pro featured inside the Radeon R9 390X and Radeon R9 390. There’s no confirming to what specifications these might hold but the top chip will be featured inside the dual chip Radeon R9 395X2 offering. Some specifications that have been previously revealed point out to 4096 cores and a 4 GB, 4096-bit (1024-bit per channel) HBM memory. The chip will be the first to adopt SK Hynix’s HBM memory design stacking layers upon layers of fast memory on the GPU die.We haven’t seen any samples or representation of what the GPU might look like but we are soon to get a glimpse at the product if launch is close. A cut down variant will be fused inside the Radeon R9 390 (Fiji Pro) while there’s also rumors of a third SKU called Fiji CE which will feature an even more cut down design and a 2 GB HBM memory design which just doesn’t look that great from a specifications point of view. The Fiji GPU will utilize the latest GCN 1.3 graphics architecture from what is rumored in the details. The Radeon R9 380 series is going to be an interesting one since it’s going to be based on the Grenada GPU. We haven’t heard of this name before but from what it looks like, the Grenda GPU is actually a rebranded Hawaii as seen from its specifications. Hence we are going to see two SKUs, the Radeon R9 380X (Grenada XT) and R9 380 (Grenada Pro) featuring 2816 cores and 2560 cores respectively. There are no architectural enhancements to both cards and will feature the same 4 GB GDDR5 VRAM and 512-bit memory interface. The pricing of both cards will be made very attractive to gamers since Hawaii still has muscles to render 4K games with playable frame rates. The Radeon R9 370 series is what will be the entry line to the R9 series and would be the mainstream performance segmented lineup. Based on the Tonga chip, there would be two SKUs, the Tonga Pro which will go into the Radeon R9 370 and will feature exact specifications as the Radeon R9 285 while the Tonga XT with a 384-bit and 3 GB GDDR5 memory along with the full 2048 stream processor core would be featured inside the Radeon R9 370X. The Radeon R9 370X will be the true showcase of potential for the GCN 1.2 made, Tonga chip which has seen its current iteration being adopted as the not so famous, R9 285 and the R9 M295X GPU. The Tonga chip will tackle the GM206 based offerings since both will be available around the $200 US mark. The last of the lineup is the Trinidad GPU which we have heard of before in a previous leak. The change is that the cards it would be featured inside are supposed to be Radeon R7 360 series. These would be the entry level and above $100 market cards. Below these would be the R7 250 and R7 240 replacements which we don’t know of yet. The good thing is that these sub $150 cards would rock a 256-bit bus and 2 GB of GDDR5 VRAM which is a good for sweet spot and entry level cards.. Not much is known regarding the specifications except that these might also be featuring GCN 1.3 core enhancements. AMD is stacking up their lineup pretty well and would all the recent price updates, they will make up for all the short comings they had to face while loosing market share to NVIDIA since the launch of the GeForce GTX 900 series cards. There’s no doubt that AMD wouldn’t go quietly without fight from the green side as we have already seen a glimpse at the monster that NVIDIA has kept under wraps for so long. Their GM200 core is soon going to hit full production and that is the component that is going to face the Fiji in a final battle of the most high-performance 28nm chips ever to be manufactured. Vesuvius Radeon R9 295X2 GCN 1.1 Bermuda Radeon R9 395X2 GCN 1.3? Hawaii XT Radeon R9 290X GCN 1.1 Fiji XT Radeon R9 390X GCN 1.3? Hawaii Pro Radeon R9 290 GCN 1.1 Fiji Pro Radeon R9 390 GCN 1.3? Bonaire XT Radeon R7 260X GCN 1.1 Trinidad XT Radeon R9 360X GCN 1.1? Bonaire Pro Radeon R7 260 GCN 1.1 Trinidad Pro Radeon R9 360 GCN 1.1? GCN Cores 4096 2816 2048 ? Boost Clock Speed ~1Ghz ~1Ghz+ ~1Ghz ?